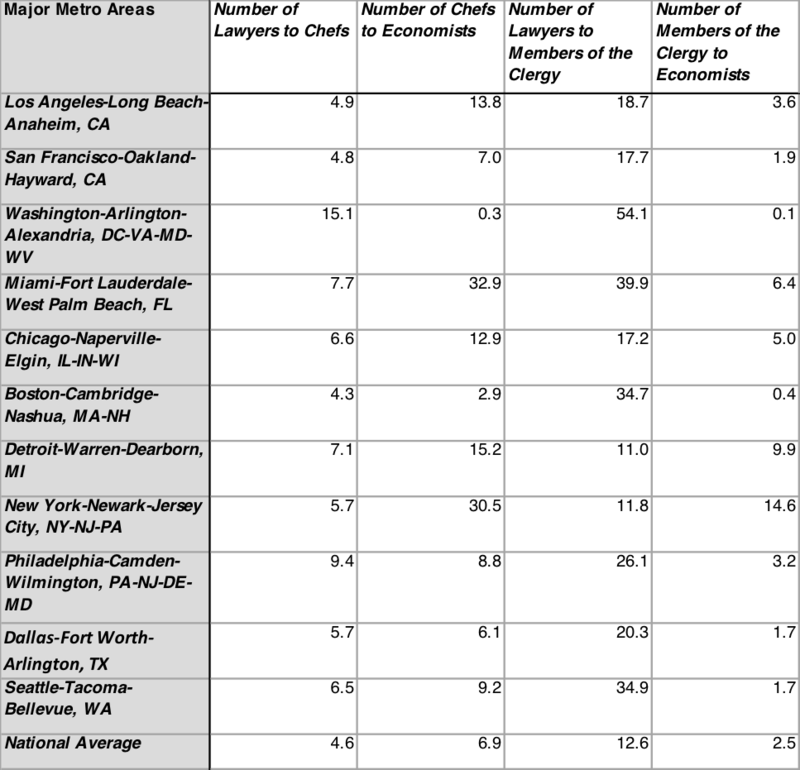 DC is the Only Major Metro Area to Have More Economists than Chefs. According to travel guru Rick Steves, there are three chefs for every lawyer in Paris. Well, in Washington, D.C., we have 15 lawyers for every chef, according to data compiled from the Bureau of Labor Statistics (BLS). The national average is only four lawyers to every chef. Washington also seems to be full of economists. We have 10 economists for every one member of the clergy, whereas in New York City there are 15 members of the clergy for every economist. Newer PostAre Individuals More Objectivist After Arguing to Win Rather Than to Learn?